This Add-On allows GMs to quickly make medium-sized city maps by offering a selection of 6 large (20×20 grid square) modular city “blocks”, each containing a different selection of buildings, both with and without roofs, to allow mapping both interiors (furnished or unfurnished) and exteriors. 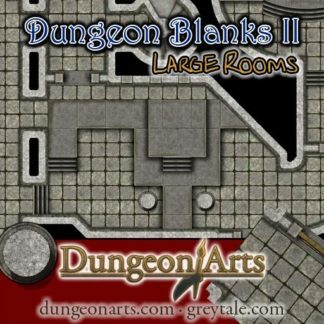 Most of the city blocks are multi-story. 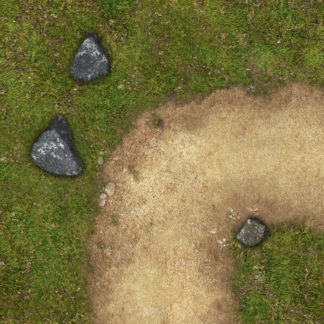 Empty tiles are provided for mapping the edge of the city (or inner-city parks). 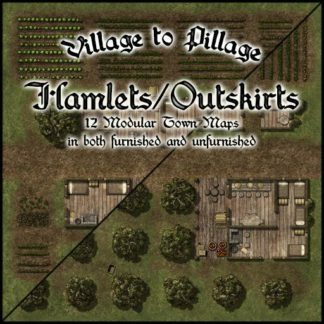 This Add-On includes placeable Items, such as trees, bushes, stone walls, wooden walls, farm plots, doors, gates, and a variety of roofs, to allow a GM to further customize the map. 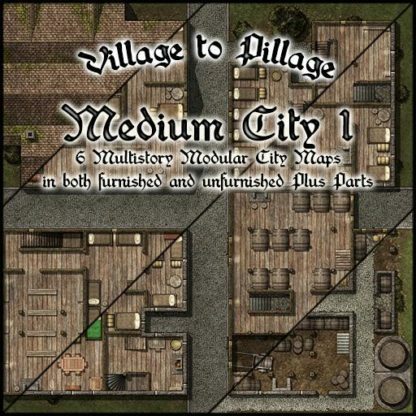 Transition pieces from the stone streets of the city to the dirt roads of some Village to Pillage sets (found here or in the Roll20 Marketplace) are also included, making it fully compatible with all other sets in the series. 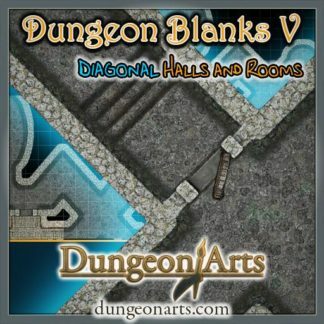 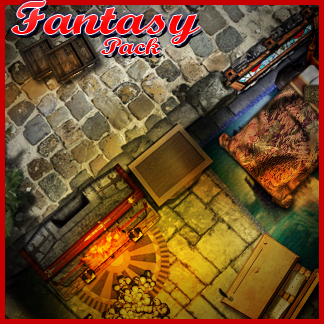 This Add-On is best suited for fantasy/medieval settings.